Another spineless attack by ‘religion of peace’ members against somebody who has no chance of putting up a fight back. The victim a 67 year old pensioner came to the aid of a female train guard being abused by a gang of thugs was attacked and left unconscious. A GOOD Samaritan was ‘knocked out cold’ when he confronted a gang abusing a train guard on a station platform. The 67-year-old man was left with a broken cheek bone, two black eyes and a bruised temple in the single punch attack. 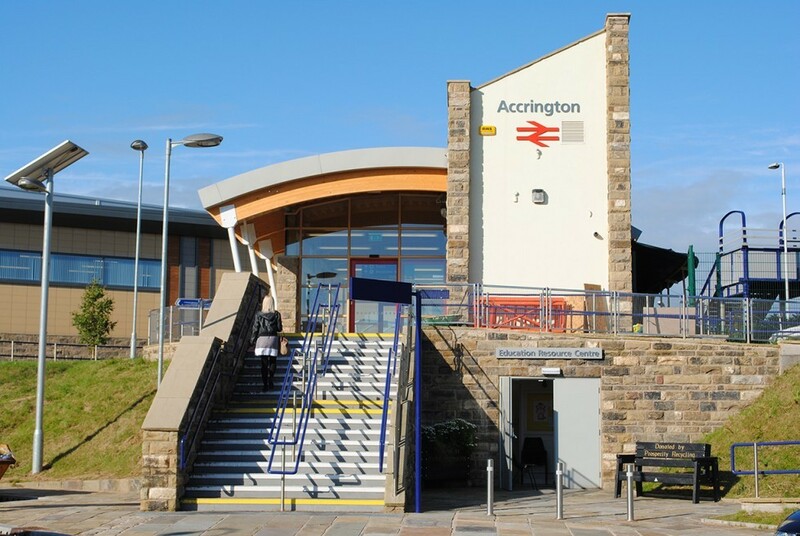 Detectives described the incident at Accrington Railway Station as ‘incredibly violent and unprovoked’. The victim, who has no recollection of the attack, was knocked unconscious by the force of the blow to his face and left with concussion. It is thought he may have received his other injuries when he fell and struck his head on the concrete platform. Officers said the man was a regular user of the Burnley to Blackpool North service and was returning alone from a day out. He was taken to Royal Blackburn Hospital where he was still receiving treatment yesterday. Officers said the attack took place after a group of men on the platform started verbally abusing a female guard aboard the train. The victim, who is from the Preston area, got off the Blackburn bound service and challenged a member of the gang at 8.45pm on Tuesday. DC Chris Biggs, investigating, said: “This gentleman was acting in a public spirited way and took exception to the terrible abuse being shown to a member of staff. “He stepped in to defend the female train guard, who was subjected to disgusting verbal abuse from a group of youths, and found himself the victim of an incredibly violent, unprovoked assault. “He was knocked unconscious on the floor and is still in hospital. “I would like to speak to anyone who was at the station, perhaps on the train or platform, who may have seen or heard what happened. “Any piece of information, no matter how insignificant it may seem to you, could help with our inquiries. “Fortunately violent incidents like this are rare, and I am sure that most people in the community will shocked to hear about this upsetting assault. 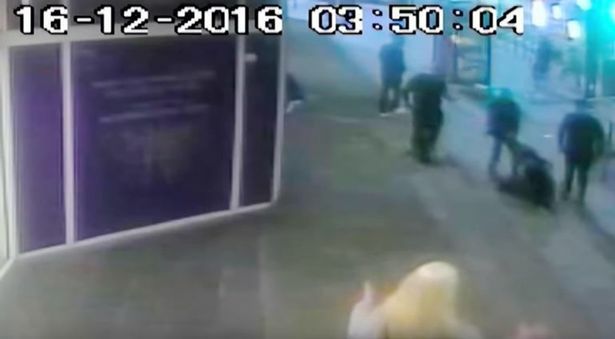 The attacker was described as Asian, around 18 to 22-years-old, 6ft 2ins tall and was wearing a blue hooded anorak and black tracksuit bottoms. Four people have been arrested on suspicion of assault in connection with the attack. They are a 17-year-old boy from Rossendale and three men aged 19, 22 and 18, all from Accrington. They have all been bailed pending further enquiries. Anyone with information about the incident is urged to call British Transport Police on 0800 40 50 40 or text information to 61016, quoting reference number 258 9/2/17. Yet another spineless attack by ‘religion of peace’ members against somebody unable to defend themselves against the cowardly attack. Bashing old people doesn’t make you big and hard, it is something that even a pair of 12 year olds are capable of doing if they wanted to. But even children have more about them to know that it is very wrong and something only the lowest filth in our society would do. Incidents like this unfortunately are on the increase as the UK imports more and more migrants from third world Muslim nations. Gradually turning the country into the backwards lawless lands they left. An elderly man was kicked and then had his wallet stolen from him in an attack on Marlow Road, High Wycombe. The 65-year-old was walking along the road on Monday (January 16) at around 7pm when he was approached from behind by two men. One of the robbers reached for the man’s coat pockets and then the two men proceeded to kick the him, causing him to fall. They then stole his wallet and ran away down Marlow Road towards the petrol station. The victim was injured but did not require hospital treatment. The first offender is described as Asian, between 25 and 26 years old, with a slim build and short black hair. He is described as wearing blue jeans and a short black jacket. The second offender is also described as Asian, in his mid twenties, with a slim build and was also wearing blue jeans and a black jacket. PC Jonathan Harland, from High Wycombe police station, said: “This was an unprovoked and very frightening incident for the victim. If you do not want to speak directly to the police you can contact the independent charity Crimestoppers anonymously on 0800 555 111. This is the third time a man was robbed in High Wycombe by two men described as Asian this week. Two robbers approached a pedestrian on Priory Avenue and threatened him with a knife, who handed over his mobile phone and money on Wednesday (January 18). And on Tuesday (Jan 17) a man was attacked and then robbed of his mobile phone in Rye Park. There is no suggestion the crimes are linked, however. Another member of the religion of peace that thinks he some kind of big hard man for hitting a defenceless 79 year old lady during a street robbery in Southsea, Hampshire. There is no such thing as honour amongst thieves or at least amongst Muslim ones. They have no morals as we keep seeing. Always the easy target who cant put up a fight back!! 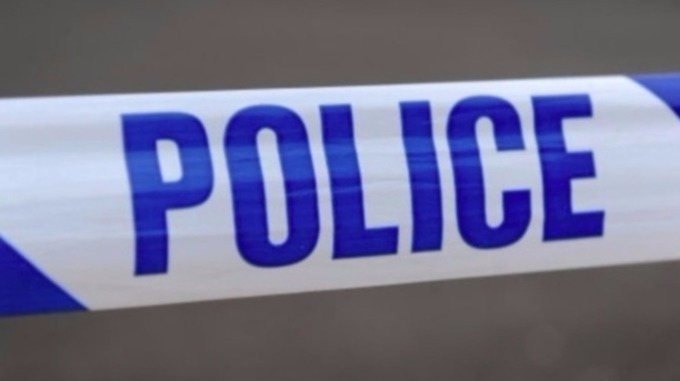 A hunt has been launched after a Hampshire pensioner was assaulted during a robbery. Police are appealing for witnesses after an elderly woman was assaulted during a robbery in Southsea. At around 3.45pm yesterday the 79-year-old victim was approached by a man she did not know outside a flat on Victoria Road North. The man then grabbed the woman’s handbag – which contained bank cards, cash, and a Samsung Galaxy mobile phone – and assaulted her, before leaving the scene on foot. He may have then been joined by a second man as he continued up the street. The victim suffered minor injuries in the incident, but did not need hospital treatment. a black goatee style beard. He was described as wearing a grey tracksuit top, darker coloured tracksuit bottoms, a dark coloured hat or hood that came down over his ears, and trainers with white soles. The second man was also described as Asian, and was described as wearing a beige jacket. Officers would like to hear from anyone who witnessed the incident, or who saw two men of this description in the area at this time. PC Paul Jennings said: “This was a terrifying attack on an elderly member of the public, and we are keen to identify those responsible. Anyone with information is asked to contact PC Jennings on 101, quoting 44170011901, or call Crimestoppers anonymously on 0800 555 111. Christmas – the season of goodwill and peace to all…….well unless you happen to be a follower of Islam that is. Then it is business as usual, beating up random defenceless women in the library for no particular reason. Police are appealing after a woman was knocked unconscious in a seemingly random attack. The 19-year-old was punched as she waited outside the Central Library in Swindon at around 2am on 18 December. It’s not known who her offender was, but he is described as Asian in appearance, in his late 30s/early 40s, 5ft 5 inches and of medium build. The woman was taken to the Great Western Hospital and was released the next day without any serious injuries. This was a particularly nasty attack. If you heard or saw anything suspicious in this area at this time, please come forward and contact me. All the usual characteristics of a Muslim attack evident here. 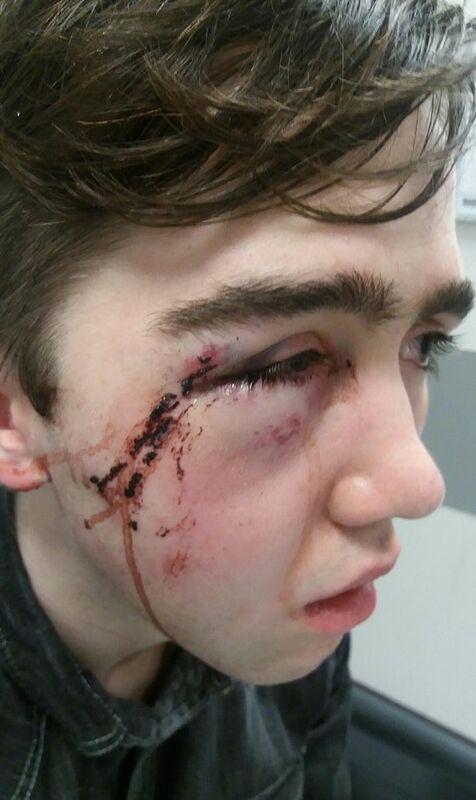 A sixteen year old alone attacked by a car full of violent ‘Asian’ thugs who think their some kind of hard guys. Pack attacking a youth who is vastly outnumbered and fracturing his skull with a hammer….. Cowards….end of!! A 16-year-old boy suffered a fractured skull when he was attacked by a group of men, including one wielding a hammer.The victim was waiting for a bus on Thursday on St Clements Street, Oxford, when a car pulled up next to him. He was approached by the front-seat passenger before running on to Rectory Road where he was followed and attacked, police said.There were up to six offenders thought to be aged between 18 and 20. The front-seat passenger of the dark people carrier – possibly a Volkswagen Touran – is described as Asian, about 6ft 3ins, of a slim build and with short black hair.He was wearing a grey tracksuit with elasticised ankles and a grey tracksuit top which had darker grey arms. An 8-year-old child walking his dogs in a Nottingham park was pushed to the floor and kicked in the face by a cowardly scumbag described as ‘Asian’. The attacker kicked the dog first and then the child as he attended to his pet. This kind of spineless attack is fairly typical Muslim behaviour. Random acts of violence against the weakest in society. Children, women, old age pensioners and those they heavily outnumber who are unable to put up a fight back. All are fair game to the average Muslim thug who possess few morals and zero respect. The attacker probably thinks he is some kind of hard guy from hitting an innocent defenceless child. Maybe cowardly behaviour like that gets you social standing in Pakistan or some other lawless Muslim country. But here in the UK it means you are nothing but a lowlife bully, the utter filth of society. Just a pity the child’s dog wasn’t a Rottweiler that would have clamped its jaw on the scumbags face. A jogger kicked an eight-year-old boy in the face as he walked the family dogs with his mother.The attack happened at around 5pm on October 7, as the boy and his mum walked their two daschunds in the Gallows Inn playing fields, off Nottingham Road, in Ilkeston. .A spokeswoman for Derbyshire Police said: “The boy went to see if the dog was injured and the man pushed him to the floor and kicked him in the mouth, causing minor injuries. The dog was uninjured.”The jogger is described as Asian, in his mid-30s and of athletic build. He wore a black hat, black shorts and a black top. One man, who the victim’s mother often sees at the park, spoke to her after the incident and went to search the park for the jogger.”She does not know him and police would like to speak to him in case he can help identify the offender.”Witnesses or anyone with information should contact PC Peter Herrett on 101, quoting reference number 16000314698. A father attacked by a man described as ‘Asian’ outside a Blackburn school as he waited to collect his children. Unfortunately Blackburn is one of the UK ‘s most Islamized areas and has the highest Muslim % per resident. Think its safe to assume that the violent culprit is from the religion of peace yet again. All the hallmarks are certainly there. Violent behaviour and a complete lack of morals as to the location and presence of children. Probably more chance of being hit by lightning than the thug being anything other. Police in Lancashire are appealing for information after a 37-year-old man suffered a broken jaw following a vicious assault outside a Blackburn school. 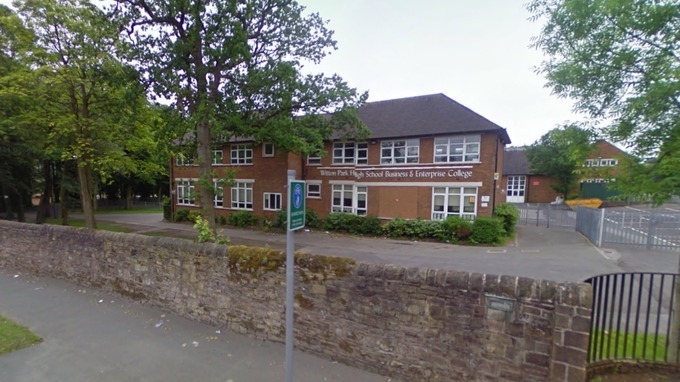 Police were called around 3.15pm on June 8 following reports of an incident outside Witton Park High School in Buncer Lane. The victim had arrived at school to collect his children when another car pulled up ahead of him. A male passenger left the vehicle, walked up to the victim and punched him several times while he was sat in his car. The attacker then made off from the scene. The victim, from Blackburn, suffered a broken jaw and was taken to Royal Blackburn Hospital for treatment? The offender is described as Asian male, in his 30s, of medium build and clean shaven with black hair. He was wearing a grey t-shirt and grey jogging pants and was seen getting into a silver car after the attack. This was a particularly nasty incident which has left a man with some serious injuries. The assault occurred around school closing time so I would imagine there were a number of people waiting to pick their children up. I am looking for people to come forward to help us to understand what has happened in this situation. Anyone with information can contact police on 101 quoting crime reference ED1608468.